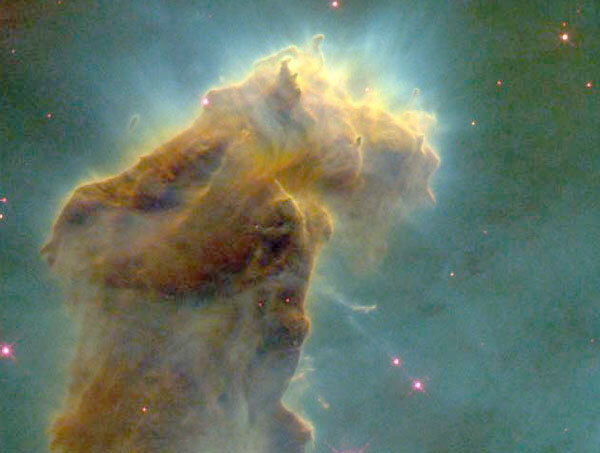 Explanation: Star forming regions known as "EGGs" are uncovered at the end of this giant pillar of gas and dust in the Eagle Nebula (M16). 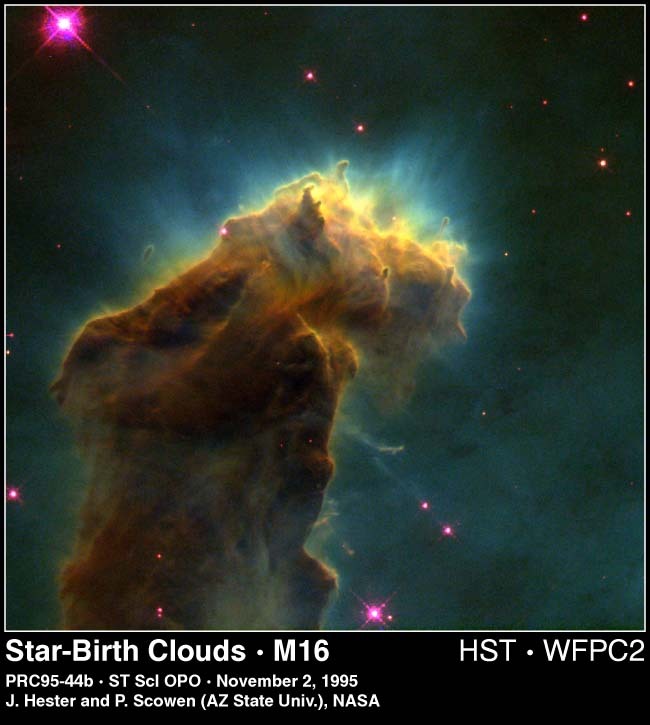 EGGs, short for evaporating gaseous globules, are dense regions of mostly molecular hydrogen gas that fragment and gravitationally collapse to form stars. Light from the hottest and brightest of these new stars heats the end of the pillar and causes further evaporation of gas - revealing yet more EGGs and more young stars. This picture was taken by the Wide Field and Planetary Camera on board the Hubble Space Telescope.